← The Spring Egg Willow Candy Tree is here! 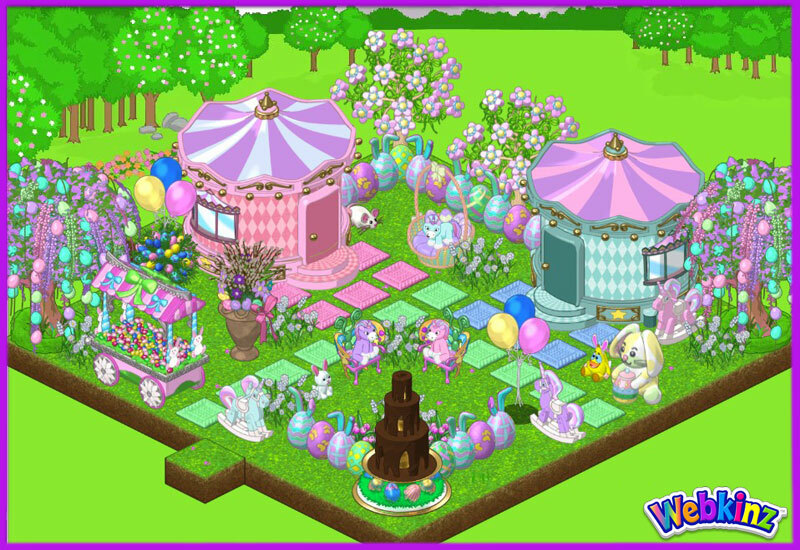 Springtime will seem even more magical when L’il Spring Unicorns become part of your family of Webkinz pets! These magnificent mythological creatures can sometimes be a little shy, so when they’re looking for some privacy, have them head inside their Spring Carousel Cottages! And when they want a sweet snack, serving them their Uni-Cone will really hit the spot! You may find these pets and more at Ganz eStore! 3 Responses to L’il Spring Unicorns are officially here!